All ages welcome to our fun and social dance classes. 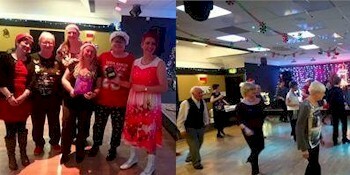 A great way to keep in shape and to meet new people, whilst learning to dance. warm welcome always awaits you. Don't sit at home alone!